It feels strange coming back to this space again. I feel exactly like how a kid would feel on rejoining school after taking a year off. I am assuming the first day jitters, butterflies, anxiousness and nervousness are not unlike to what a kid would feel. All the new faces and the old ones who you hope would still remember you. I feel like I’ve missed out on a lot and there’s a lot of catching up to do. There’s a serious case of #FOMO (Fear Of Missing Out) that I’m experiencing right now but that’s okay, I think it’s probably normal. I really did miss this space and all you lovely friends out there. After I wrote the ‘Mini Hiatus’ post (The Mini Hiatus which turned out to be a Major Sabbatical), I completed my temporary freelance job by the end of December. I was already thinking (maybe thinking too much!) of coming back to this space but my mom who suffers from osteoporosis and spine issues was very unwell in January and we had to take her back to India in early February where I spent almost 5 months with her while she underwent physiotherapy and other medical treatment. When we returned back to Dubai at the end of June, I did plan to get back to blogging but I just couldn’t muster enough courage to get back to what I loved doing best – writing. I was already experiencing FOMO (this has become my favourite acronym now!) and I was just avoiding the urge to write. 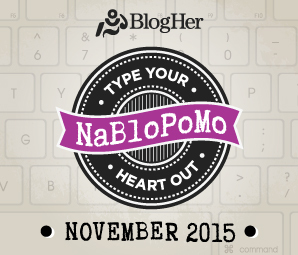 I also hoped to complete NaBloPoMo 2015 this November but sadly could not. My little series of 30 Notes to Self have been left incomplete but I will definitely get back to them very soon. If you would like to be featured in her series, please get in touch with Karen via her contact page and she’ll send you all the details. Meanwhile, take care bloggers and see you soon again in a couple of weeks! I think that we can all unanimously agree that reading is no longer only a solitary past time for stereotypical ‘book worms’ as it used to be labelled years ago. 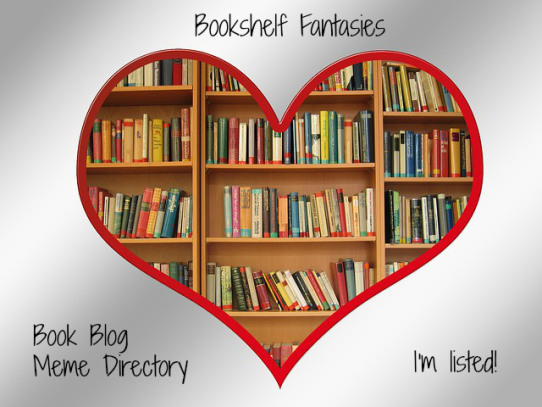 It has become a community activity thanks to literary websites and book blogs. Not only do books enrich us and become a part of our lives but book readers all over the world are able to connect with each other and develop a meaningful relationship based on shared literary experiences. That is the real power of literature – to bring people together and add rainbow colours to our lives through a series of words written in black on white. Unlocking Worlds is a book about books – written by a book-lover, for a book-lover. I am always looking for good book recommendations and this one really gave me some very interesting ones. The author has written a whole chapter in the beginning on how to let a book change you. In it, she explains that it is not imperative that a reader necessarily has to connect with a good book but it is totally okay to be able to relate to a book that is usually not considered such a literary masterpiece. Reading is very personal and subjective. The books she personally considers good in this manuscript have been classified more or less on the basis of five qualities – a compelling narrative, purposeful shaping of words, purposeful ambiguity, emotional truth and wholeness. I found it interesting because I usually tend to read a book in its entirety using only the basic elements of plot, characters, setting, conflict and resolution without delving much into nitty-gritty details and this has caused me to think more carefully about reading and reviewing. The rest of the book is divided into several chapters that follow themes and genres – of family, time travel, war, tragedy, children’s fiction, memoirs and epistolary novels and many others. It is a well structured book where each chapter begins with a personal anecdote, usually from Allen’s childhood, and contains 10 book recommendations that not only give a brief description but also the author’s personal insight into why she was personally able to connect with them. Here, Allen’s writing, English literature and communication background has helped her to delve deeper into the meaning of each story and find the reasons why these books have moved her. She has beautifully been able to extract the essence of each book and her words have made me want to explore many books that I might not even have considered before. I found the watercolor painted cover, the most attractive feature of this book. I honestly loved the simplicity as well as the colors used that brought out an old world charm that is sometimes missing in even the most brilliantly graphically designed books today. The little illustrations with the quotes at the beginning of each chapter were cute too. I was able to connect with Sally Allen’s book-related experiences in many ways that a reader is able to relate to another. Books were always such a huge part of my childhood and like Allen, I often read (and re-read!) deep into the night by flashlight under the blanket after everyone had gone to bed. As the author relates in one of the latter chapters which is aptly titled ‘Books for Book Lovers’, books have sometimes played the role of ice breakers and for developing an instant connection between two individuals who might have never met before. This has personally happened to me twice on the metro as well where I was reading two different books on separate occasions and a couple of fellow commuters asked me about them. In those moments, I was completely able to relate to a stranger even if I shared only a couple of sentences with them. I have certainly not found this connection possible with any other material possession. I think Allen has really hit the nail on the head in one of the last few chapters where she has expressed how difficult and overwhelming it can get for a reader nowadays to keep up with all the books that come out by the hundreds and thousands. I can completely relate to that feeling. It’s like a rat race that I feel I must keep up, only to realise that really reading is ultimately for my pleasure and enrichment and not for any other reason. So it’s best to really choose the books that you can personally connect to or learn from. I would consider Unlocking Worlds to be the perfect holiday gift for a book lover who loves reading a variety of genres and you aren’t sure what book to gift them. It’s also the perfect compilation of recommendations to keep on one’s bookshelf for the next time you’re just not sure what to read next. Note: I received a copy of this book through iRead Book Tours. However, the opinions expressed here are entirely my own. If you would like to read more author interviews, guest posts and book reviews of Unlocking Worlds, please have a look at the book tour schedule here. 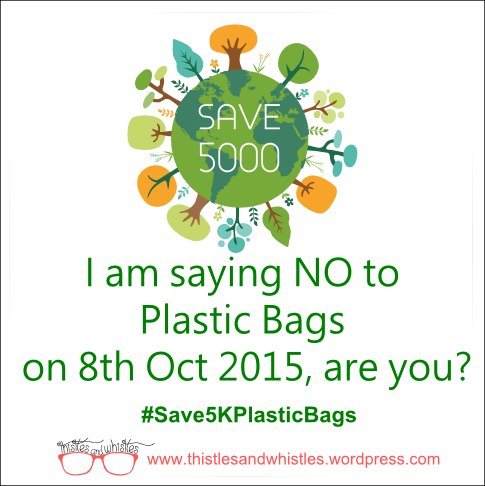 Thank you for taking the time to visit this blog, I always value your encouragement and support! If you liked this blog post, I’d be very grateful if you’d help spread it by emailing it to a friend, or sharing it on Twitter, Facebook and other social media. Thank you! I write nonfiction about books. When I was younger, I enjoyed writing fiction. During and after college, I’ve written essays and done reporting and other journalistic writing. In recent years, I find my favorite subject to write about revolves around my favorite pastime, which is reading. Books give me so much to think about, and writing helps me work out what I’ve learned and valued from my reading experience. I do a lot of my writing in my walk-in closet, which doubles as my home office. I live in an old home, and my closet, which probably wasn’t a closet when the house was built, has a large, lovely window. I put a small desk under it, and it’s a surprisingly cozy spot where I can sneak away when I want to write without being interrupted. As a mom writer, how do you balance your time? The biggest thing I had to learn is how to write productively in small bursts. Before I became a mom, I assumed I needed long, uninterrupted stretches of time to write. After I became a mom, I realized this was no longer possible. So I had to retrain myself to take whatever time I could carve out, even if it was just fifteen minutes, and make those minutes count. One of my favorite books growing up was From the Mixed-Up Files of Mrs. Basil E. Frankweiler by E. L. Konigsburg. Claudia and her brother, Jamie, run away from home and live in the Metropolitan Museum of Art, a place I’d spent a lot of time in growing up in New York. Reading that book inspired me to write my own Claudia-and-Jamie-style adventure, though mine was set in Williamsburg, Virginia, where my family had recently gone on vacation. Though I don’t write fiction anymore, that is definitely the first book that inspired me to write. My absolute favorite place to read is on airplanes, especially on evening flights. Anytime I’m booking a flight, I’ll opt for an evening one if at all possible. Something about being 30,000 feet above the earth’s surface in the dark facilitates getting lost in another world. My secret fantasy is to be given an airplane ticket around the world so I can finally make a serious dent in my massive to-be-read list. If you would like to read more author interviews, guest posts and book reviews of Unlocking Worlds, please have a look at the book tour schedule here. A very Happy Belated Birthday and a Happy Belated Diwali and a Prosperous New Year! This year, your birthday coincided with Diwali which made everything everything so special and festive. It was a great day both at the office and at home and you really have so much to be thankful for. So take a moment and thank the Lord for all his kindness and blessings. I’m sorry for missing out on my daily notes to you this week, T. What can I say? I don’t think I have all the right excuses ready for this one. I want to (wo)man up and say that I wish I had made better use of my time in planning out these posts. However, most of the time I feel like I can express myself in writing best when it’s done impulsively and when I really have something worthwhile to share that comes straight from the heart. There seems to be a mental clash between my spontaneous creativity and my need to manage time effectively. The former is winning of course, as you can see. Moving on to this note’s purpose, sometimes you feel like all the efforts you are putting into overwriting your old thought patterns are bearing fruit and other days you feel like a big fat failure. 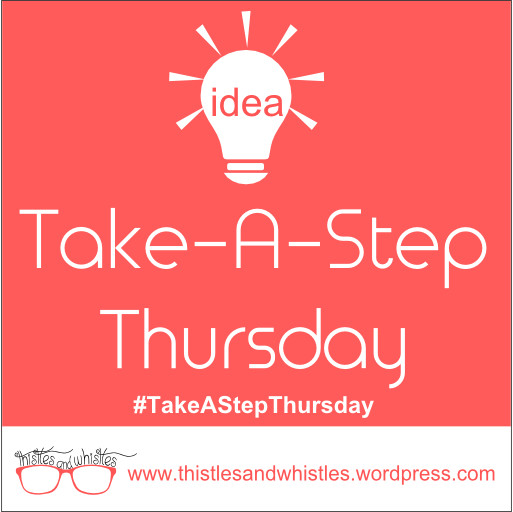 I don’t want to go into much detail but you recently felt like you were making headway and then boom, the next day had you backtracking to right where you were even though you hadn’t stopped making the efforts. This happened on the day of your birthday unfortunately. The day was pretty amazing and you were on top of the world but there was an underlying sense of disappointment that was dragging you down. You felt cheated out of the one day that should have been the happiest day of the year. At one point, you just wanted to give up and sleep it off but luckily as you didn’t want to start your 30th on the wrong note, you chose to learn a lesson instead of falling prey to a temporary setback. The most important reminder that you received when almost on the verge of giving up was this is all temporary. There will be several good days and maybe an equal number of bad days. There will be trials, failures, disappointments and obstacles but it’s all going to pass eventually. What came with this reminder was also the realization that you had the power to turn your day around. It’s not always easy and you know it, but you did manage to make the best with what you could and had a bloody good day nonetheless. What you say to yourself is very important at this point. Your inner dialogue can be your biggest enemy or your strongest ally. This has been the hardest to change but it’s getting easier to talk to yourself as if you were your own personal cheerleader. Life loves giving out free lemons but remember lemons are actually good for you despite their sourness. It is up to you what you make out of them.